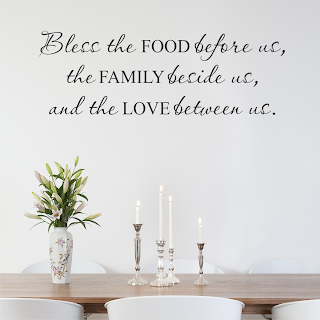 This decal is the perfect reminder of the things that are truly important in life...what a great piece for above your kitchen or dining room table. 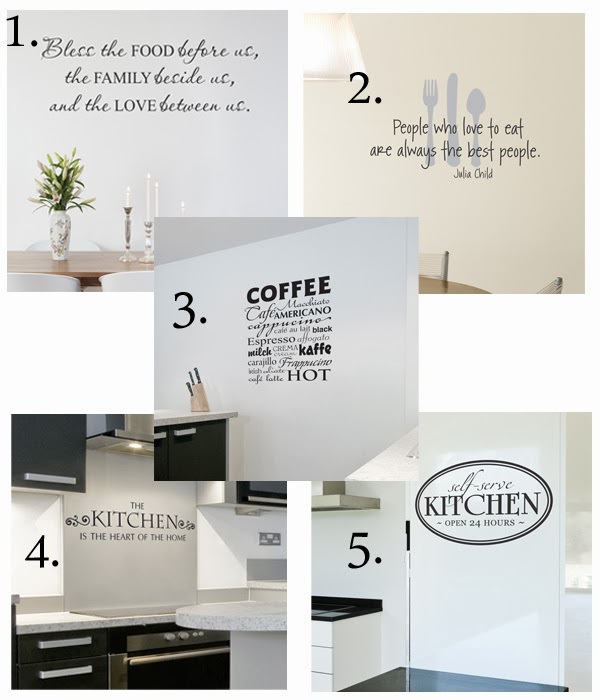 I love wall art that is not only meaningful, but beautiful to look at! 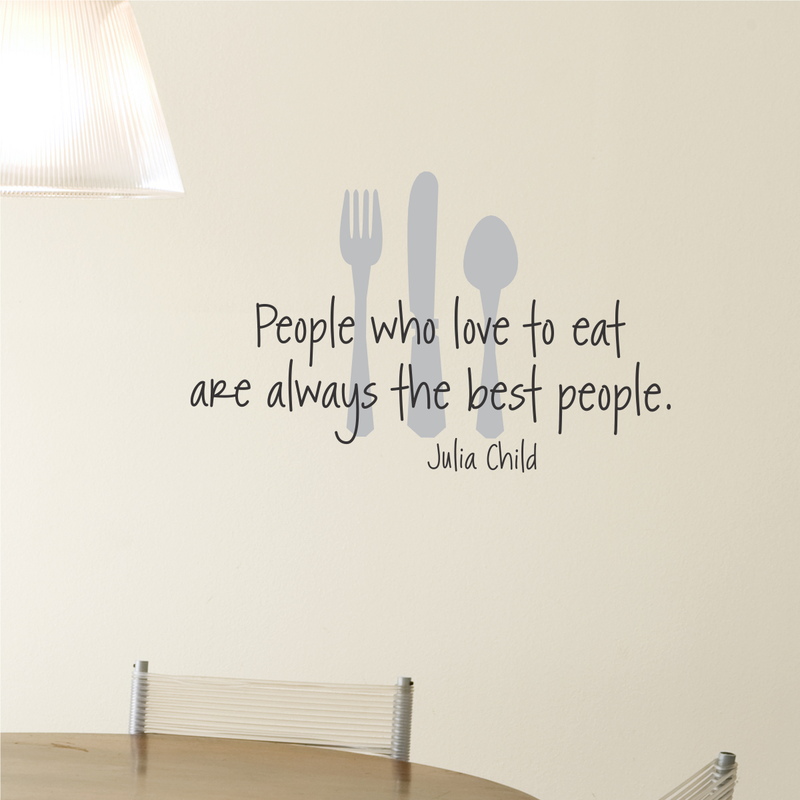 I just love everything about Julia Child, and this wall decal exemplifies one of the things most-adored about her-her brilliant sense of humor. 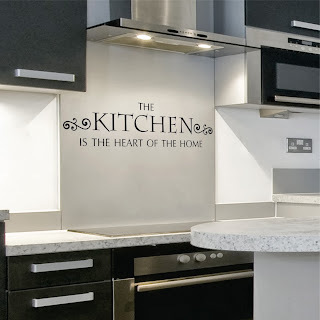 If you agree with this statement, then this decal is a must-have for your kitchen or dining room! 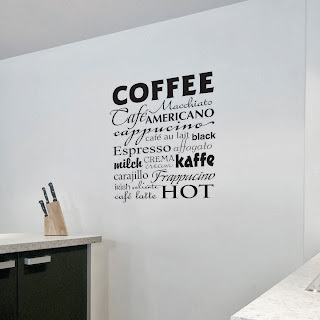 Are you a fellow coffee-lover? 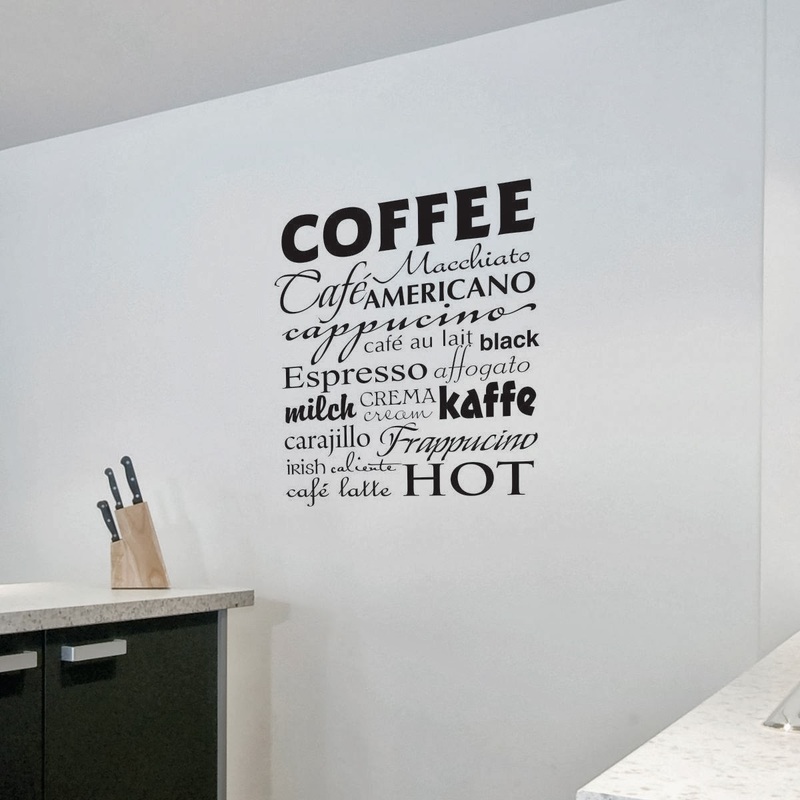 Then this fun wall decal is for you! In addition to being a unique piece of art, it also makes a great conversation piece...I know I learned something new after having to look up two of the terms listed, how many do YOU know? 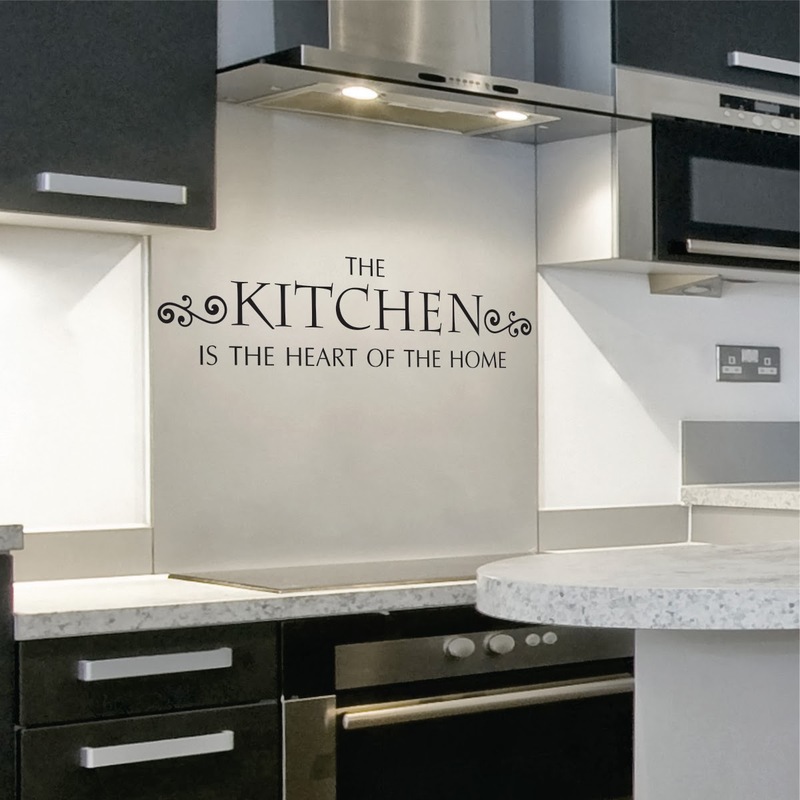 Sharing one of the most popular phrases regarding the home, this wall decal is ideal for anyone who loves to cook (or eat)! 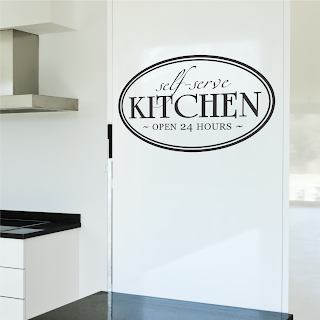 Just like all our decals, you can get it in one of 46 colors to match any kitchen décor. 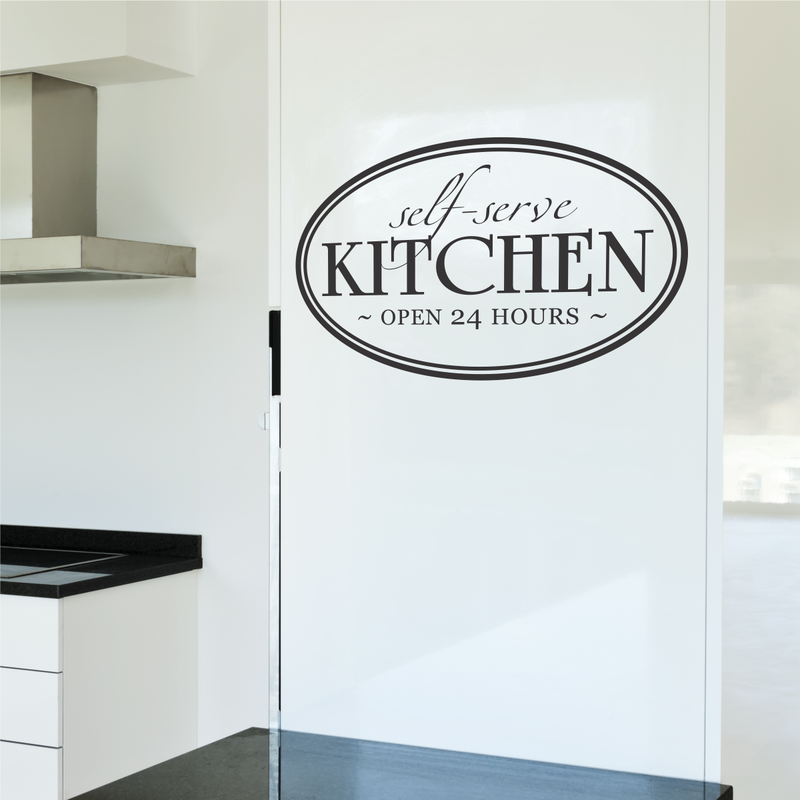 Anyone else just love the retro/diner feel of this decal? 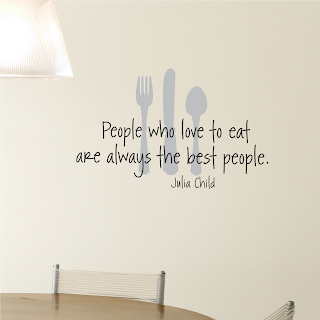 I think it would look great on a pantry door or anywhere else you are looking for that finishing touch!